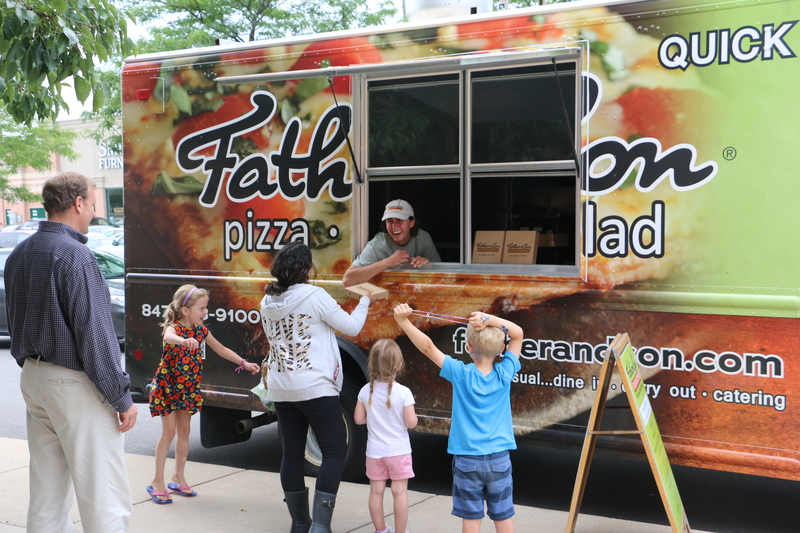 Marcello’s Party on Wheels is ready to hit the streets! 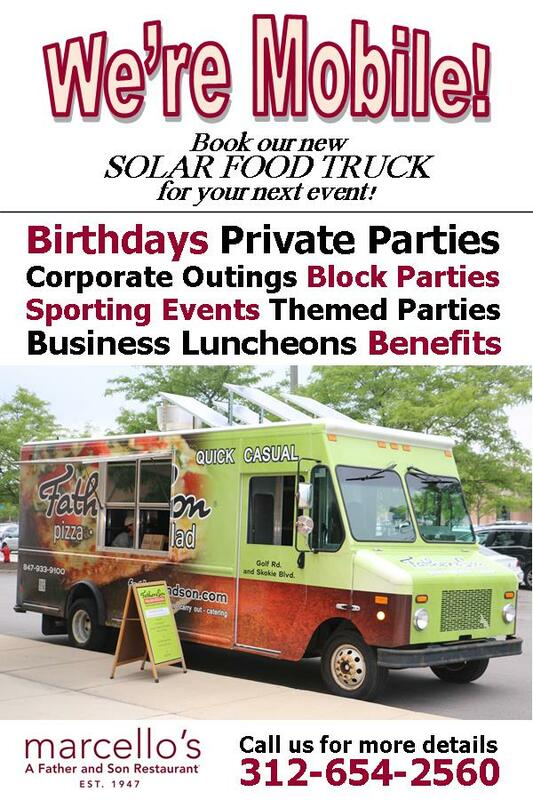 Team Marcello’s is proud to announce our long awaited solar powered food truck is ready to cater your next event or stop outside your business for lunch/dinner! 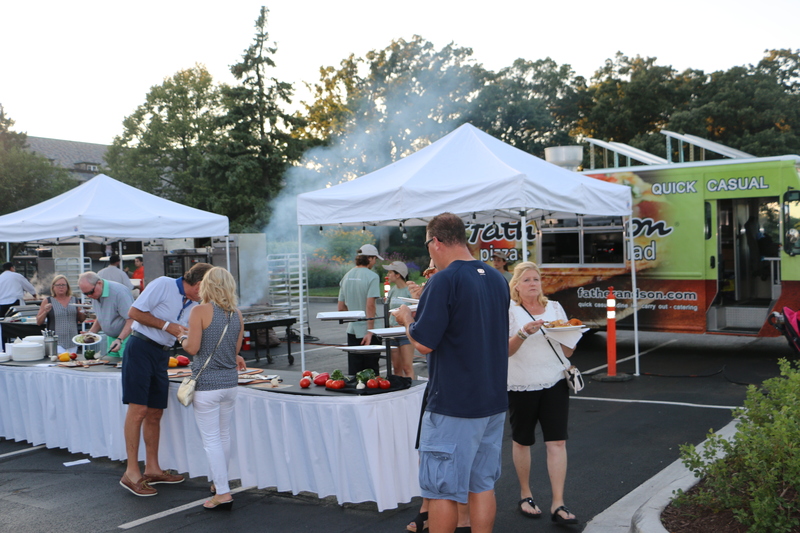 Marcello’s and Father and Son Restaurants bring you Delicious Italian food right to your event! Using the freshest ingredients, we will bring you customizable high quality meals without compromising value and taste! 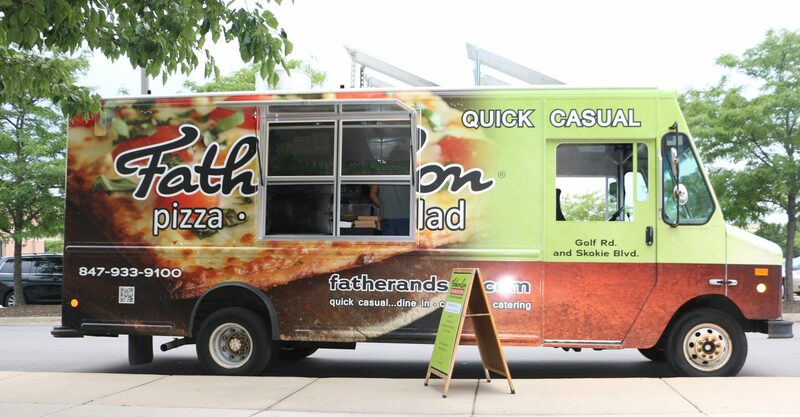 Our Food Truck is ideal for private parties at the location of your choice. 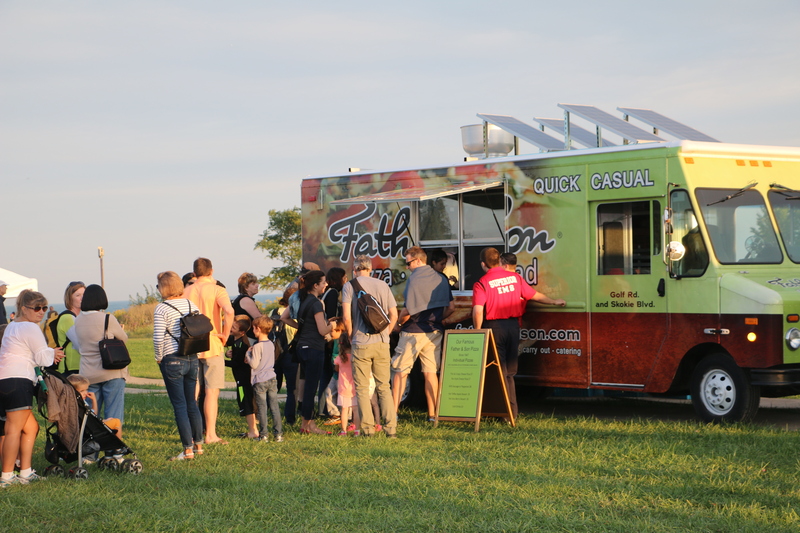 Because each of our food truck catering events is developed custom to your needs, the best way to get started is to contact us to learn more. Head Chef- $28 / Hr. Sous Chef- $24 / Hr. 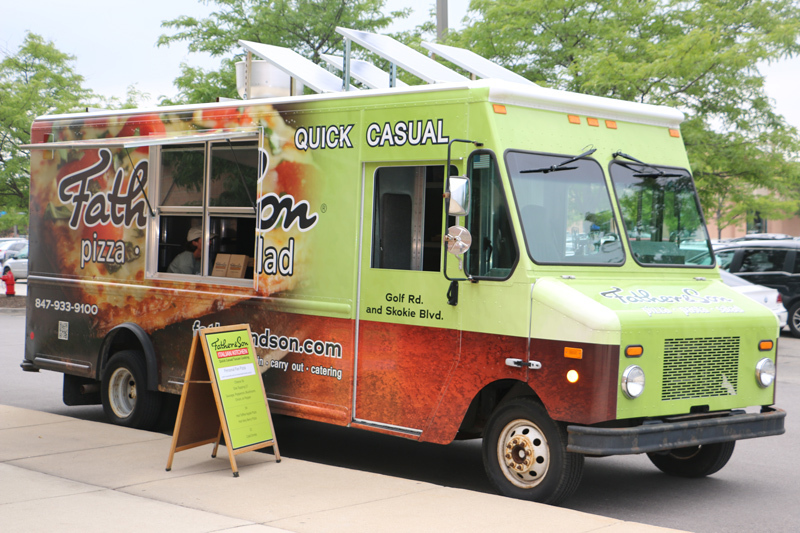 Deposits: 25% of Food & Beverage Minimum Deposit Required to Secure the Truck for Your Event. Your final number of guests must be guaranteed no less than four business days prior to your event, otherwise, the number specified on your contract will be considered your guarantee. The balance will be due at a specified time prior to your event (to be discussed with your event planner). Events may be paid by credit card (which must be present when remitting payment), cash (or cash equivalent), or company check. Sorry, we cannot accept personal checks for final payment. All deposits are non-refundable upon cancellation.